There is a fifth dimension, beyond that which is known to the average car guy. It is a dimension as vast as space and as timeless as maintenance on an Italian car. It is in the middle ground between stock MX-5 and Donk'd F-350, between science and superstition, and it lies between the pit of man's fears and the summit of his knowledge. This is the dimension of imagination. It is an area which we call the Laforza Zone. 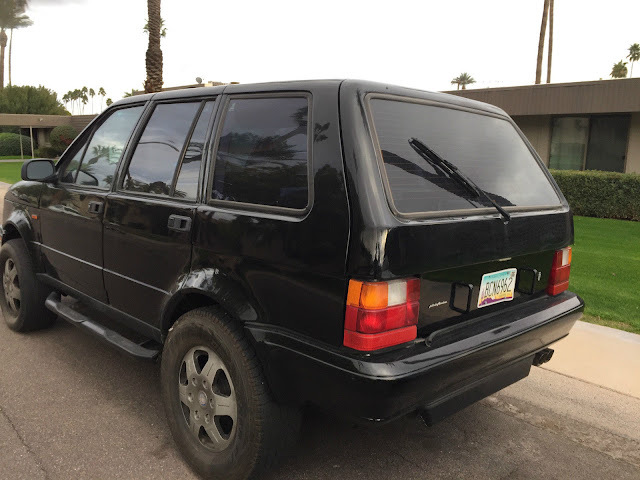 Find this 1998 Laforza Prima here on eBay bidding for $6,500 with 3 days to go (and buy-it-now of $8000) located in Scottsdale, AZ. I know what you are thinking: Tom Tjaarda styling, American (Ford) V8 engine, Iveco 4X4 chassis, Italian flair -- how could that combination end in anything but total and complete triumph?!?! The combination sounded really good on paper, but the execution was about has bad as Crystal Pepsi, and we all know how that ended. 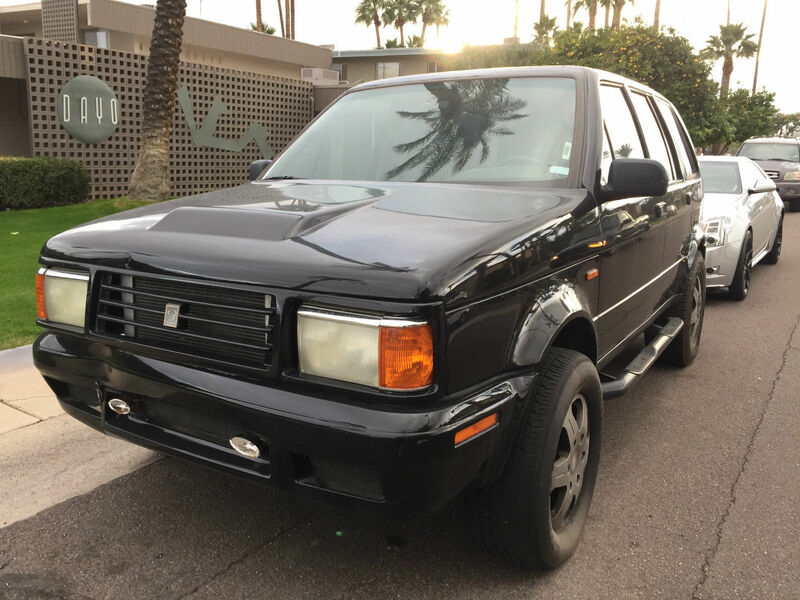 Today's seller is offering two Laforzas for sale, because one non-functioning Italian SUV in your driveway really isn't good enough -- you need two. I bet >95% of drivers on the road would mistake this for an old Land Rover.